Suffering from dark circles under your eyes? You’re not alone. Millions of men and women suffer from them on a daily basis. The reasons are as numerous as there are people in the world. But what’s common for all of us is that dark circles under your eyes do not allow you to have a young, fresh-looking face. Yes, resting little and maintaining a life with no stress are factors that can reduce the appearance of dark circles. However, you should evaluate other aspects, such as genetics and age; since, with the passage of time, the elasticity of the skin is lost and becomes thinner. 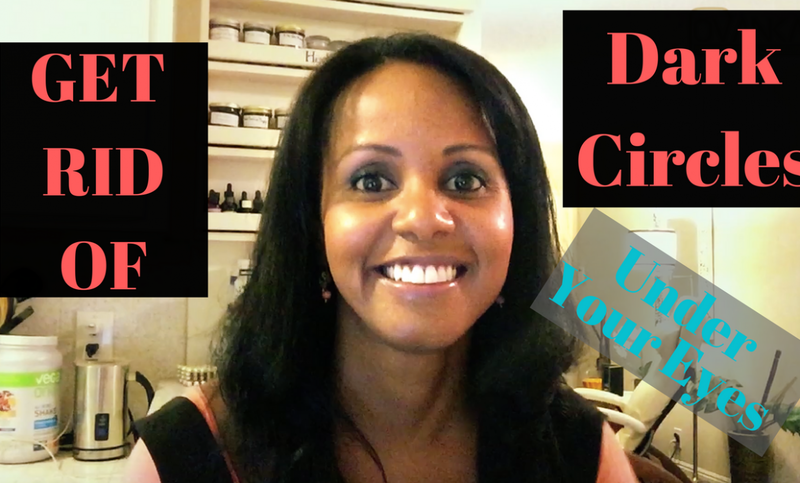 Here are my top three go-to remedies for dark circles under your eyes! And see the remedies listed below the video! Remedy for dark circles #1: If you are very dark circles, use sweet almond oil, which moisturizes and reduces dark spots and stains in your skin. Apply it in a circular way in your eyes. Remedy for dark circles #2: Perform twice a day massages with aloe vera gel, with upward movements, without pressing the skin too hard. Remedy for dark circles #3: Immerse cotton ball in freshly brewed coffee, put them in the freezer overnight (or until they freeze. Place them over your eyes and let them sit there for 5-7 minutes. Remove them and wash the area with clear warm water. Copyright Jovanka Ciares 2017. All Rights Reserved.